Has any Body heard of powerchegs or smartspark systems that are used to monitor batteries in balance , I'm looking for a system to keep my Silicon batters in balance and would appreciate any help on the subject. Permalink Submitted by reikiman on Sun, 02/08/2015 - 10:29. Yes - back when lead-acid was the only way, PowerCheq etc was the primary way to balance strings of lead acid batteries. A quick google search confirms my suspicion that neither are available any longer. 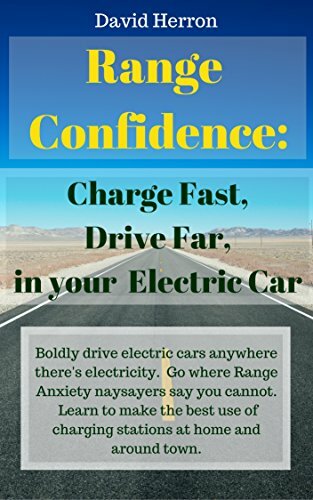 Another method is to use multiple 12v chargers, one charger per battery in the string. Permalink Submitted by kevin1963 on Sun, 02/08/2015 - 12:22. Thanks for your reply , let's hope they stay balanced , I suppose I can charge them individual ever so often or check them with a multi meter to check volts are strong on each battery. Would it worth buying individual Desulfator for each battery to keep the plate free of clogging up with sulphate or because these are a silicon battery and the plates are soaked as a posed to the older type of lead acid battery will they not suffer with sulphating as bad ?. Permalink Submitted by LeftieBiker on Mon, 02/09/2015 - 16:43. The claim is that with no sulfur, there is no sulfation. The Greensaver batteries are the only system on my ZEV that has given me zero problems, and they don't seem to have lost appreciable range over 2+ years, with no balancing other than that from the charger. Permalink Submitted by kevin1963 on Mon, 02/09/2015 - 22:34. Thanks for your reply , could I ask you then do you bother with the devices that you can connect to your bike that prevent build up of sulfation on the plates as these sulfation devices claim to break this process down helping the batteries maintain a good charge and last longer. Permalink Submitted by LeftieBiker on Wed, 02/11/2015 - 14:40. If I rode a lot or planned on having the bike in use for a long time, I might. As it is I'm likely to be selling the crappy ZEV this year, although I may keep the batteries if it gets bought for a lithium conversion, for use in a home UPS system. Permalink Submitted by mf70 on Mon, 03/02/2015 - 07:48. I've been VERY happy with my series/ Parallel setup for the last five years. 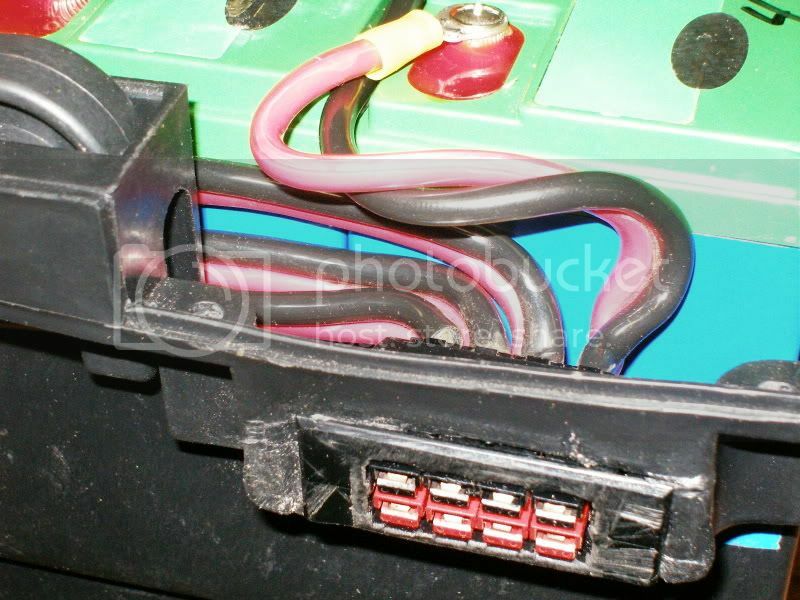 Each battery is wired with #10 wire to an Anderson Powerpole gang plug. One mating plug is wired in parallel to a Vector charger, so batteries are charged in parallel. Any battery that has less capacity will only be changed to its ability without limiting others in the bank. A second mating plug is wired in series to supply 48V to the scoot. Switchover from series to parallel is automatic and fail-safe. There's no dependance on extra circuit elements. Every monitoring system I've seen discussed has has occasional failures, with consequences ranging from blown batteries to car fires. Permalink Submitted by kevin1963 on Mon, 03/02/2015 - 13:21. Currently my V Moto is wired in series with 4 x 12 v 60 amp silicon batteries , so 48 v 60amp , how can I protect my batteries and stop them sulfating . Permalink Submitted by Rob_Matthies_Va... on Wed, 07/01/2015 - 23:00. I still have several unused PowerCheq's. They work well in 12AH's. However, they do have a fairly high standby draw. Would work well on Ego Cycle 2, which I see on the Yahoo Forum is being made again, according to the new owner, even though imo the Ego Cycle 2 has several major design flaws and is a "dinosaur", given the high-efficiency brushless, gearless, electronic transmission "CCT" (Motorino) hub motors from Taiwan. We made voltage limiters for 33AH's and 55AH's to burn off excess voltage in a series string, one per battery. Hand made, easy to assemble from plans on the net, sometime in 2007. Permalink Submitted by interflexo on Thu, 09/22/2016 - 09:09. Protecting SLA batteries from sulfating is just a matter of keeping them charged. Charging SLA batteries in series is a problem. You will not want the SLA battery to reach the gassing voltage. Gassing will lead to venting and the battery will dry out due to internal electrolyte loss. The gassing voltage limit is temperature dependant. Most battery chargers for series connected batteries are not temperature compensated and you have no guarantee the the voltage will divide itself equally for each battery in series, so a BMS system for Gel SLA systems makes perfect sense. Also at low voltage cut-off there is a substantial variance in each battery voltage in series. Again a system should issue a low voltage cut-off based on individual cell voltages. The battery balancing is done automatically maintaining a string of batteries in series at the float temperature compensated voltage for several hours. The values for Gel and AGM are slightly different. Gel batteries age and decay even if you don't use them. Use them or lose them.